Don't leave it up to the cat to make paw prints all over your house (and car). 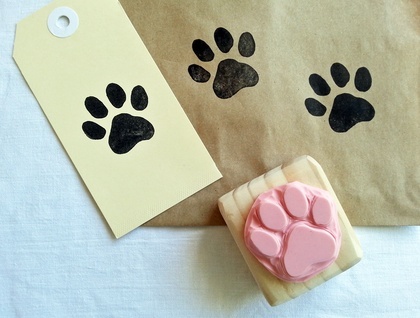 Get creative with this hand carved paw print stamp and make your own impression!! The image when stamped is approx 3.1cm high x 3.8cm wide. And is mounted onto a wooden block sawn and sanded by me (so it's never perfectly square). 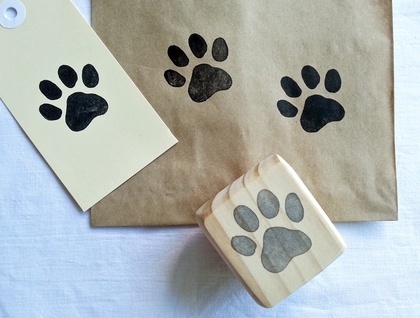 Great for making your very own wrap, tags, or anything you feel like stamping.